Healing House is your pathway to healing, personal empowerment and inner peace with Reiki as the key. 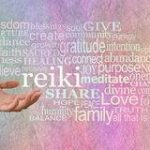 Whether you would like to discover Reiki as a beginner, extend your learnings or receive healings for yourself or your pets, Healing House is well known and highly regarded with Reiki Master and one of Australia’s leading Reiki authorities, Gillian Moxom. Reiki has brought me changes – Inside and Out!